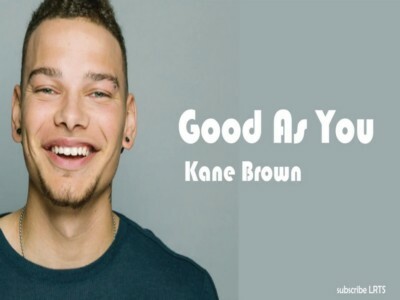 Kane Brown is in a relaxed, awe-inspired mood in “Good as You” the soulful new track from the Georgia native’s upcoming second LP with RCA Nashville, Experiment. Brown recently turned down the energy from his more uptempo country-rock to show a softer, more affectionate side on “Weekend,” and “Good as You” follows very much in the same vein. This time he trades the rootsy dobro-infused vibe for an R&B-inflected slow jam, getting up-close-and-personal to sing his wife’s praises. “It might take 100 lifetimes to do, but baby I just want to be good as you,” Brown coos, over some tasteful harmonic guitar work and a banjo that adds just a hint of country flavor.